The Brahma Kumaris is a worldwide spiritual organisation led mainly by women. Brahma meaning ‘pure’ and Kumaris meaning ‘miss’. The movement, which has placed women in all positions of power and had women at the forefront from the very beginning, breaks the mould of religions and spiritual movements across the world. The group welcomes people from all religions and cultures to join, breaking down barriers of caste, colour, culture and most importantly gender. Brahma Kumaris was started in the Sindh province in the early 1900s by Dada Lekhraj, a religious jeweller and wealthy man who started to have visions of floods, destruction and war. He gave up his riches and began the movement. He gave women important roles, which, in 19th century India was revolutionary. Mothers, sisters and wives began to join until 385 women were by his side. 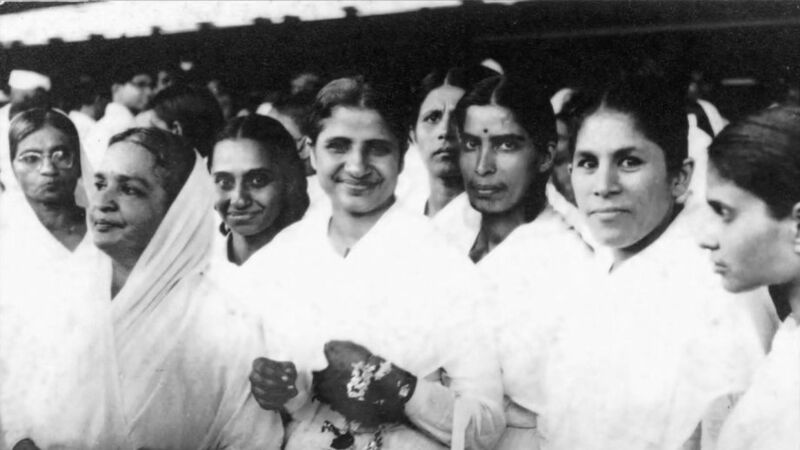 Many women and girls became victims of violence, some were beaten or locked up for being part of Brahma Kumaris. This anti-party was named the Bhaibund (meaning ‘Brother’) Committee, it was lead by important male members of the community, who thought their women were being brainwashed. In present times, the movement has global recognition. There are BK (Brahma Kumaris) centres in 110 countries, including the UK, however, the group still faces issues. There are one website dedicated to warning people about what they claim is a dangerous cult. The site claims to offer a reality check for those lives ‘affected’ by the Brahma Kumaris and cover topics such as broken marriages, mind control, suicide, and the targeting of recently bereaved women. The headquarters of BK in England is the ‘Spiritual University’ in north-west London. The giant building displays modern decor, the reception is clean and minimalistic, with fresh white walls, a spotless marble floor and fresh flowers hanging out of vases across the room and the giant, orange egg-shaped orange logo features on the central wall. The centre has many corridors and floors, three conference rooms, two restaurants and a gift shop. Inside the shop, there are many books that focus on practical issues and mental health. Anxiety, depression, positive thinking, there are audio CDS, calendars, bookmarks and many free leaflets for different practical courses such as Women and Spirituality and Breaking the anger habit, all of which are free to attend. Maniben, like many of the other women in the centre, was dressed all in white in a cotton robe similar to what a monk or a guru would wear. She eagerly showed us the different rooms and offices within the centre, such as a children’s play area, a media centre and the accountancy office which is run by a group of smiling Indian women of all ages, which, we were told, was unusually calm for the financial headquarters. She led us to one of the two restaurants, where food was being prepared by men and women. Maniben explains that the food does not contain garlic or onion which is unusual for Indian cooking. She described that as ‘Rajas’ food, that can make you angry, or hot-headed. “Plus it makes you sweat and not smell great, it’s not good for the stomach and the stomach is connected to the mind so it also doesn’t help with meditation,” says Maniben. During supper, an English lady called Rachel, also dressed in white, sat on the table and spoke happily about the play she is involved in for Christmas, a Brahma Kumaris take on Cinderella that focuses on positive thinking for children in local schools. Halfway through the conversation, some Indian music began playing and everybody put their heads down for one-minute silence, this happened twice during meal time. Brahma Kumaris has been called a radical cult. With many of the sites and committees against the group saying that women are being controlled and practising mind control through hypnosis. To please her parents she went on the course, which was seven days long. “Something started to feel different, I began to take notice of what was being taught, it was different,” she says. Paru’s family were distraught about her decision to become a BK sister. “When they found out, my husband and dad started shouting at me and my mum didn’t speak to me,” she says. 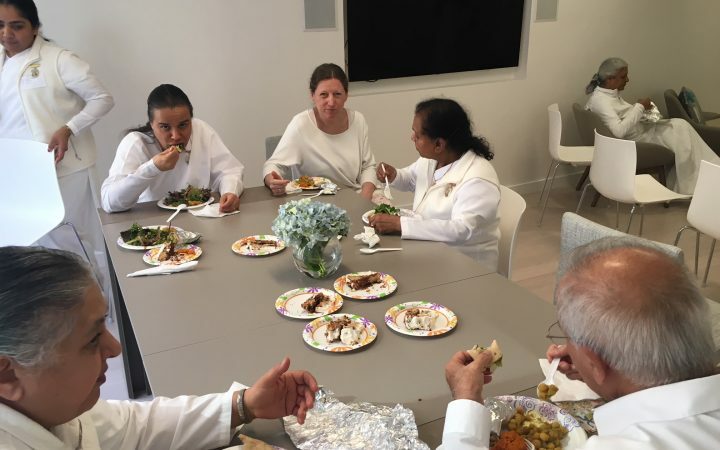 Women in Brahma Kumaris hold top administrative positions within the movement yet BK affirms that It is the partnership with both women and men together, based on respect and equality that makes everything balanced. “It’s not that men are less,” says Paru. “Dada, the founder of BK is a man. Men do have big roles in BK, it’s just in BK, women can do it too. Women and men are the same. That is a threat to some men,” she says.